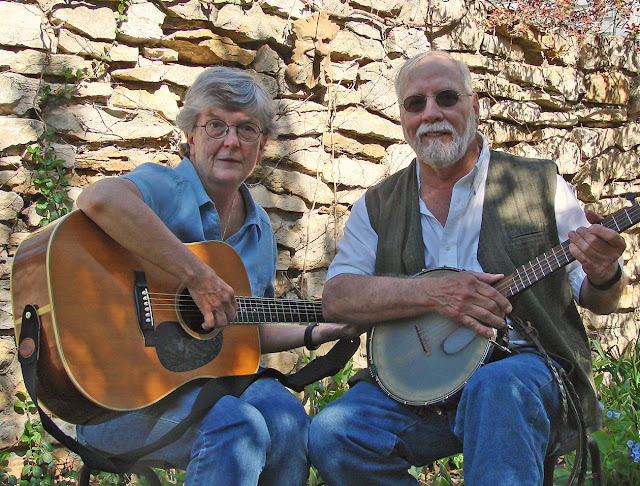 Nancy and Ike Lajoie play SHENANDOAH on two hammer dulcimers as we show you a sampling of our word-driven message stones and stakes now available at From the Summer's Garden. CLICK to hear them play! 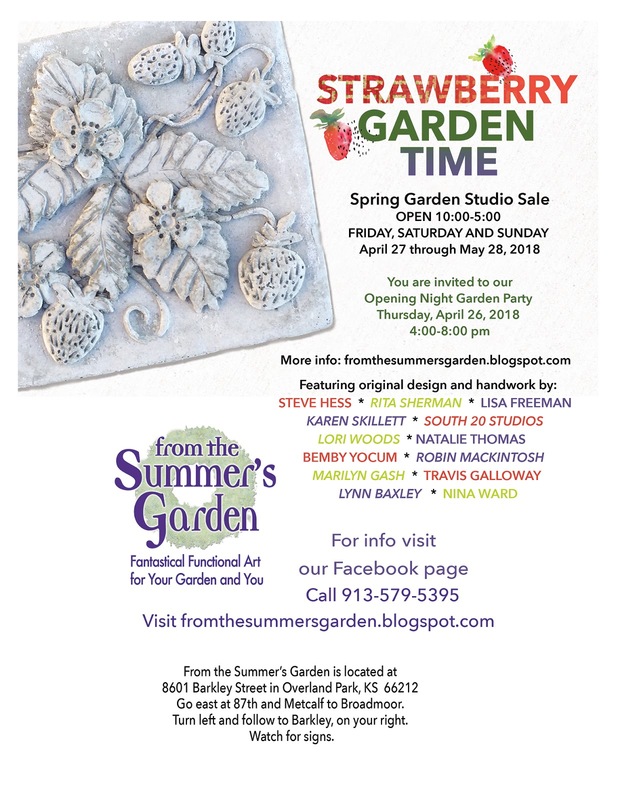 We are very excited to have Nancy and Ike Lajoie providing live dulcimer music this Thursday evening at the garden party opening of Strawberry Garden Time, our spring studio sale. 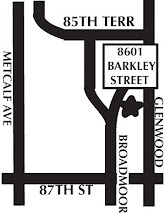 We'd love to have you join us from 4:00- 8:00 pm. Unique handmade artwork by area artists for you, your people, your pets and of course, your garden. Plenty of good cheer found here! 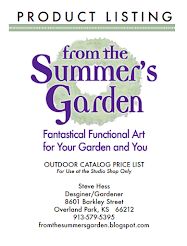 You are invited to view the unique selection of handmade artist's work for you, your garden your people and your pets. 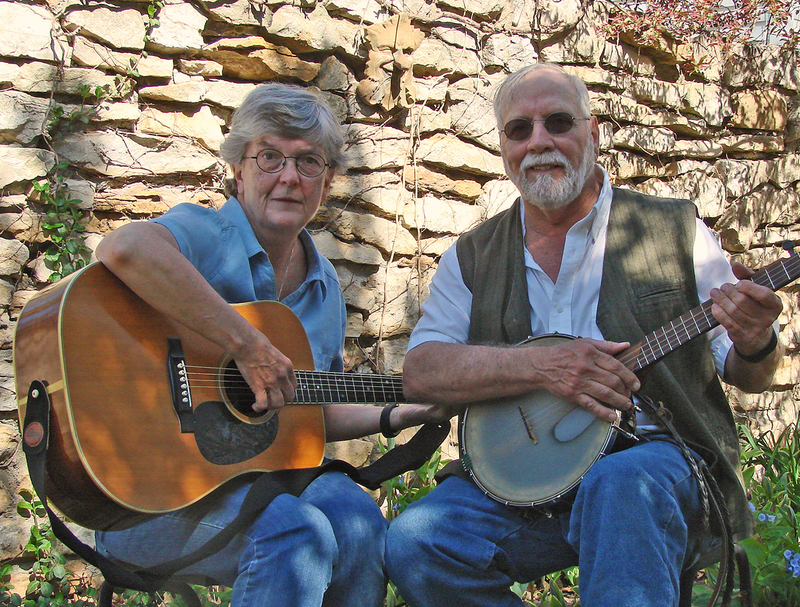 Enjoy strawberry refreshments and live dulcimer music in the garden. 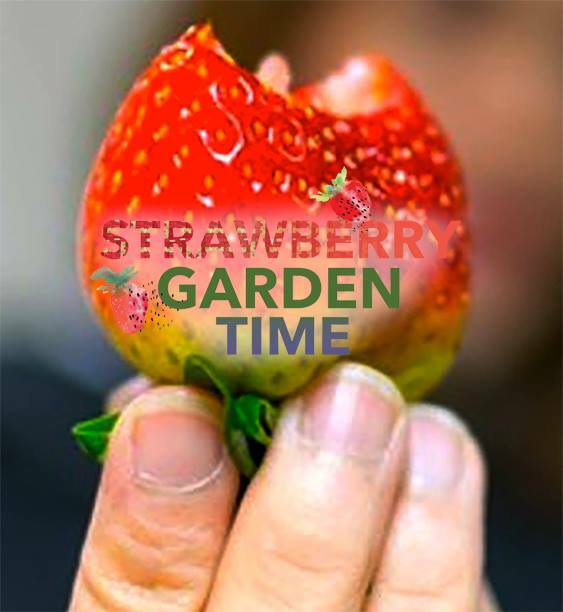 Come discover the fun and artistry of Strawberry Garden Time! Live dulcimer music and Startwberry themed refreshments. South20Studios has been busy creating one-of-a-kind flowers and totems to bring your garden alive. This otherworldly flower is one of many fun things offered to add some color and excitement to your garden. Make note of the "one-of-a-kind descritpion....These pieces are truly unique- no two are the same. These will be artfully placed into our garden setting to display how well they integrate into the garden environment. Word of advice: If you like, buy it now! 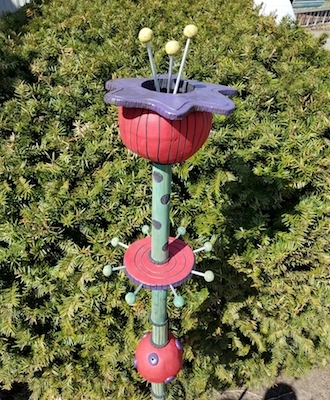 See these new flower totems along with many other new discoveries at Strawberry Garden Time opening Thursday, April 26 and then 10-5 every Friday, Saturday and Sunday in May. 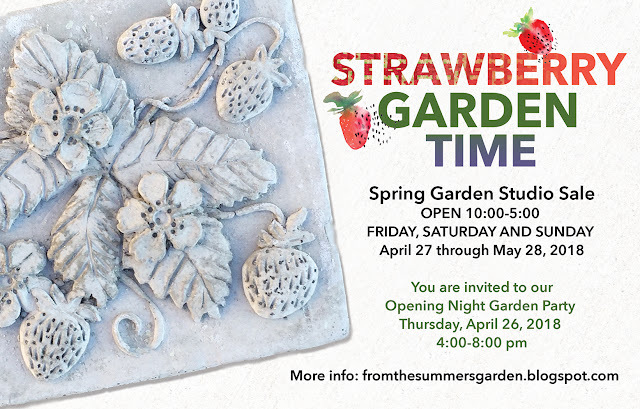 Come join us at From the Summer's Garden for our Spring Studio Garden Sale open 10 -5 every Friday, Saturday and Sunday from April 27 through the end of May. 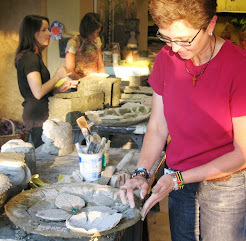 Rita Sherman has been busy in her studio dreaming of spring. These fun, brightly colored garden stakes will add a bit of whimsy to any garden or flower pot. Come and see these and so many other things at Starwbewrry Garden time opening with a garden party on Thursday evenong, April 26 and then open 10-5 every Friday, Saturday and Sunday in May. 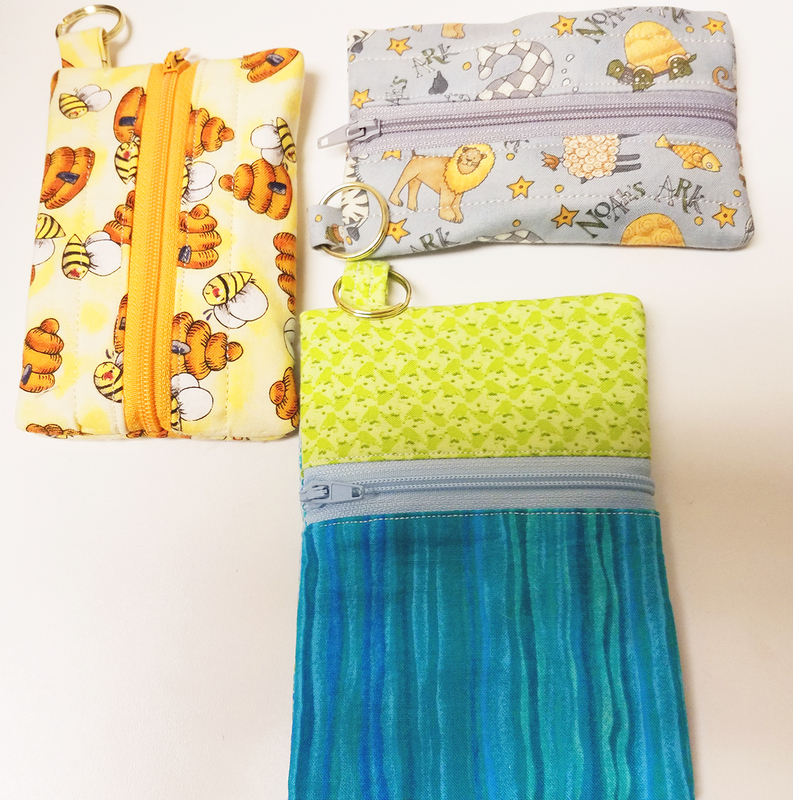 These fun little zippered bags will go anywhere with you! 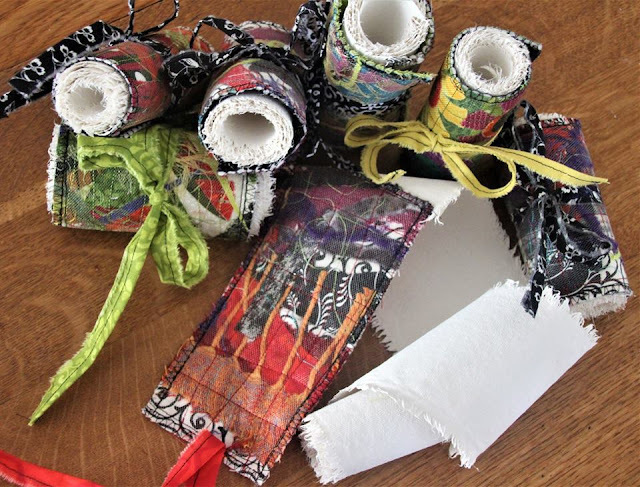 Rita Sherman challenged herself to use some fabric that she recently found stashed. She has had such great fun creating these zippered keychain bags, she just can't stop! 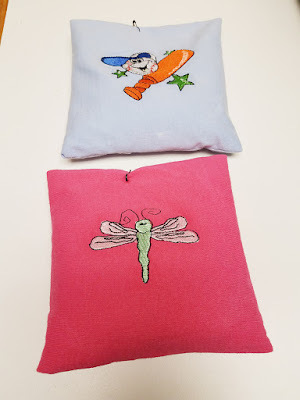 Check them out at the spring garden sale. Repurposing is the name of the game. Rita Sherman hates to wast fabric, so she has created these wonderful little boo-boo bags out of old t-shirts. 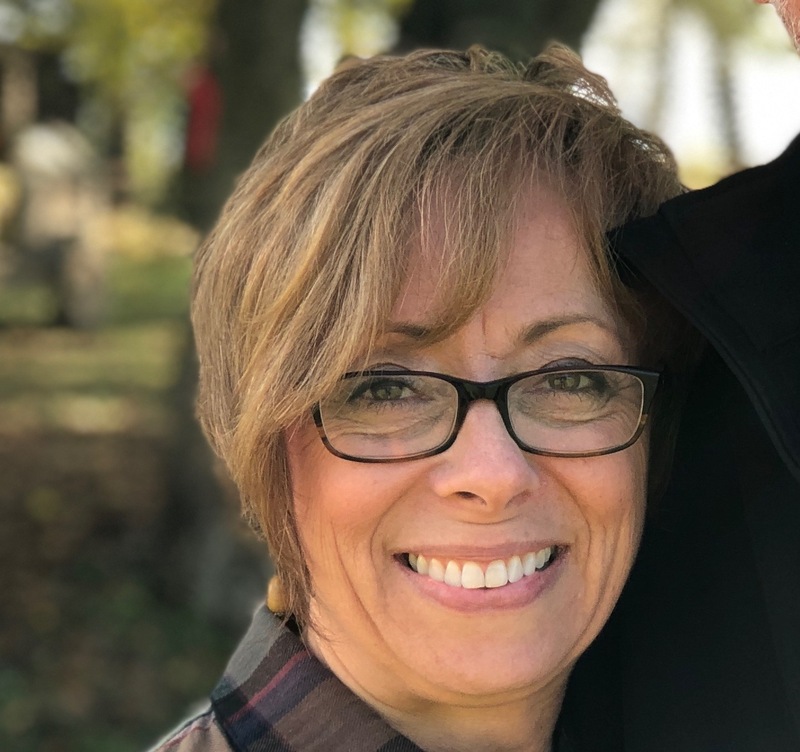 At her house, and her daughter's house, these live in the freezer and come out when a grandchild gets one of those "little boo-boo's". These are a MUST! 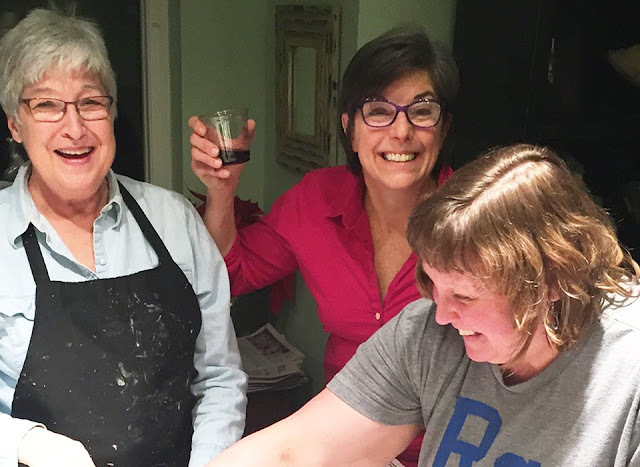 CARDBOARD IS MUCH MORE RESILIENT THAN YOU MIGHT THINK AND IN THIS WORKSHOP IT SERVES AS THE MEDIUM TO CREATE A TEXTURAL MOSAIC PATTERN ON THE FRONT FACE OF A PLANTING CONTAINER. 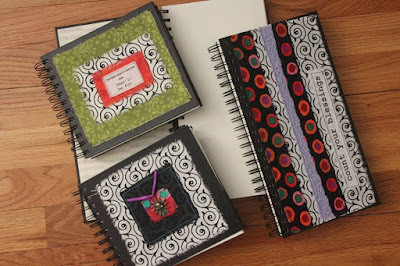 YOU'LL CREATE A PATTERN FROM SHAPES OF CARDBOARD AND GLUE THEM ONTO A BACKING. THIS WILL BE ATTACHED TO THE THE INSIDE OF A MOLD. 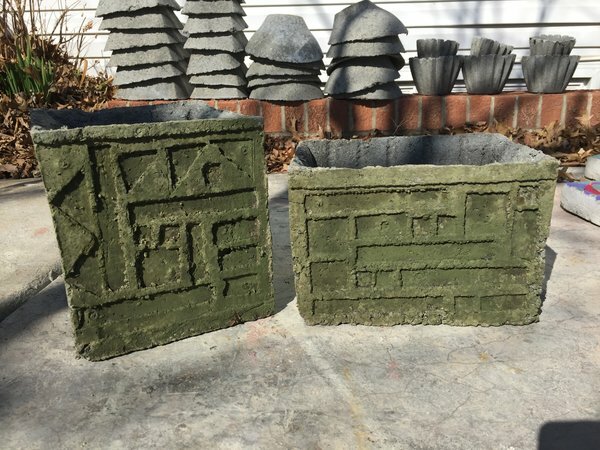 YOU'LL MAKE THE CONTAINER USING HYPERTUFA. 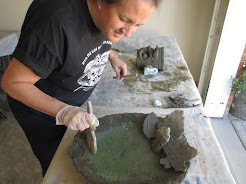 THE REVEAL COMES WHEN YOU REMOVE THE CONTAINER FROM THE MOLD AND DISCOVER THE TEXTURED MOSAIC PATTERN ON THE FRONT OF THE CONTAINER. Bemby Yocum has been having fun with the strawberry theme and playing with bright colors in her items for the Strawberry Garden Time sale. 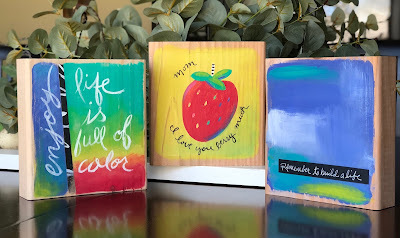 She uses repurposed pallet wood, natural elements in her designs, inspiring words, always adds a little whimsy and fun colorful touches. Whether it’s birdhouses for your garden, or decorative pieces for your home, you are sure to find something that will delight you and uplift your spirit! 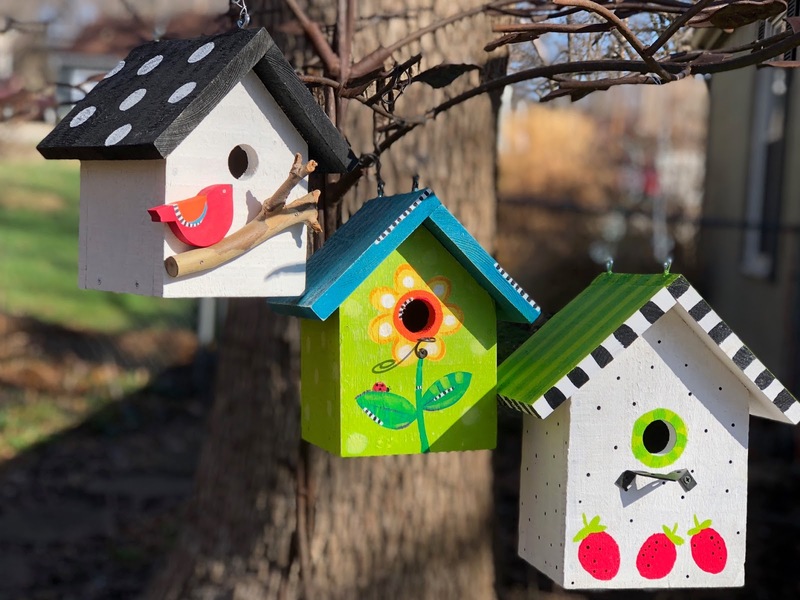 Spring has sprung and your feathered friends are going to need some new real estate for their growing families! Bemby has created these bright cheery birdhouses from repurposed pallet wood and painted them with weather resistant paint ready for you to hang. 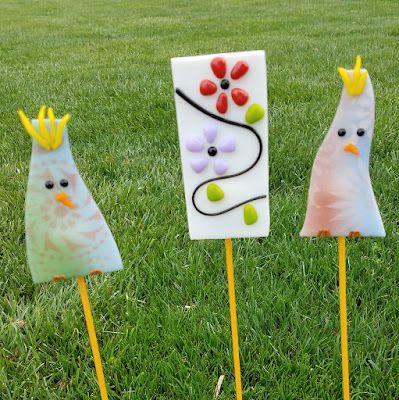 They will be a unique and colorful addition to your garden! 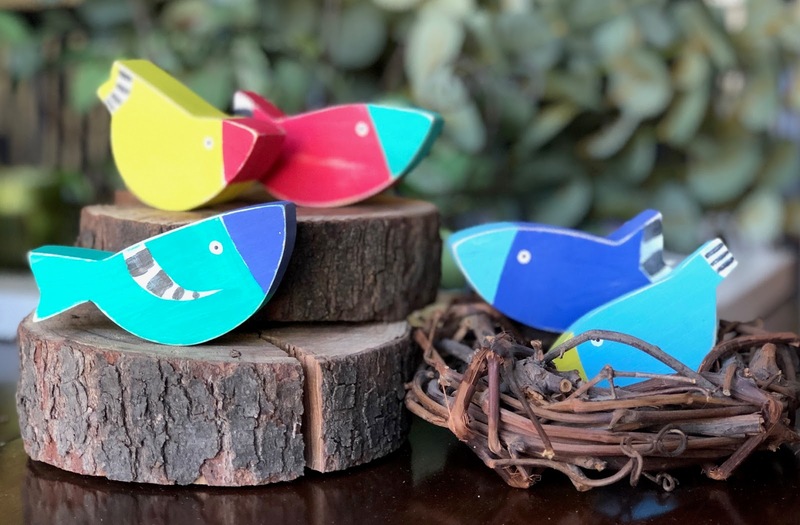 She's also created whimsical birds that will be sure to bring a smile to your face and can easily perch just about anywhere in your home, they are especially fun on your windowsill! 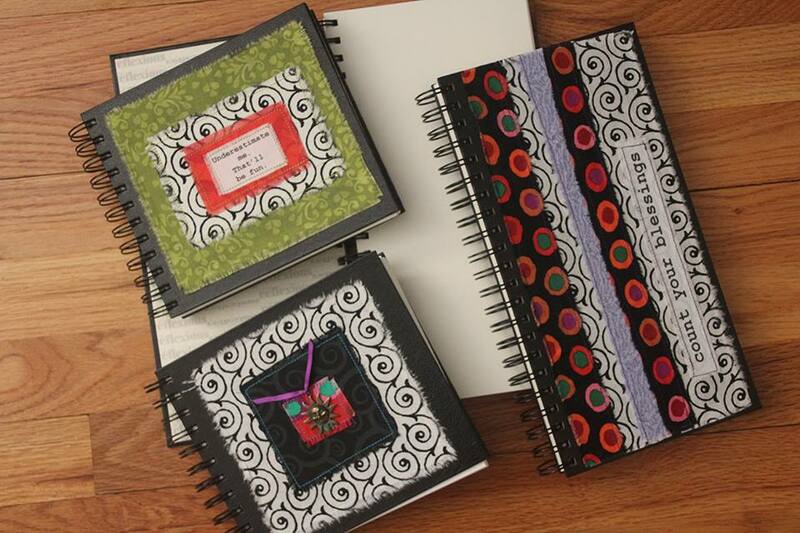 These are also great additions to many of the other items she has created for this sale. Bemby’s artfully painted wooden blocks make great inspirational gifts for graduation, Mother’s Day, gift for a friend or for your self! They can either be hung on a wall or set on a shelf or desk. She loves the idea of repurposing pallet wood in new and fun ways. 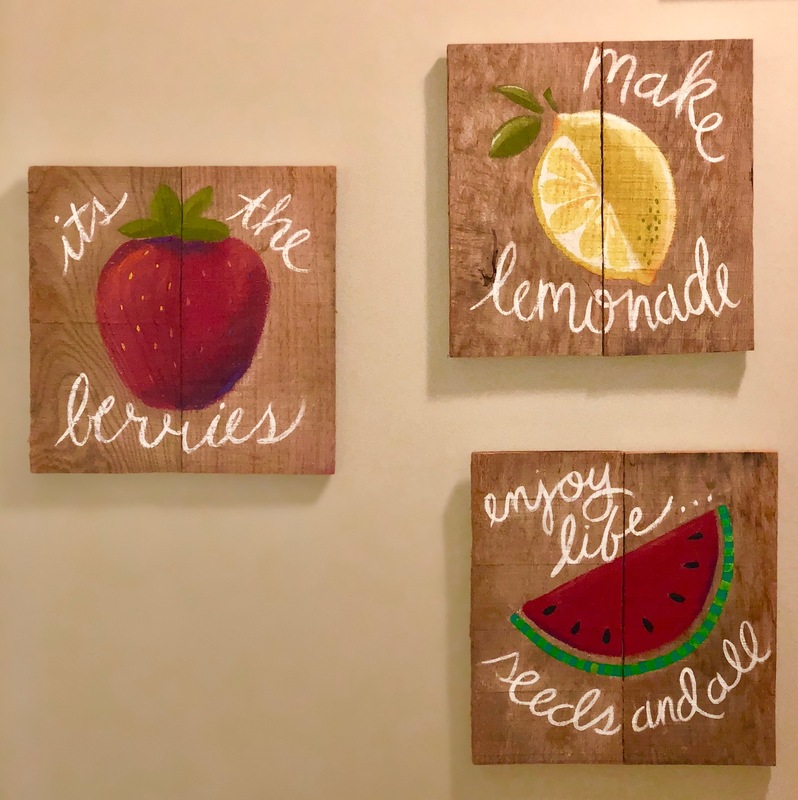 Whether it is a piece of pallet wood painted with a bud vase, fruit signs or her abstract art pieces, you will be sure to find something that fits your style. 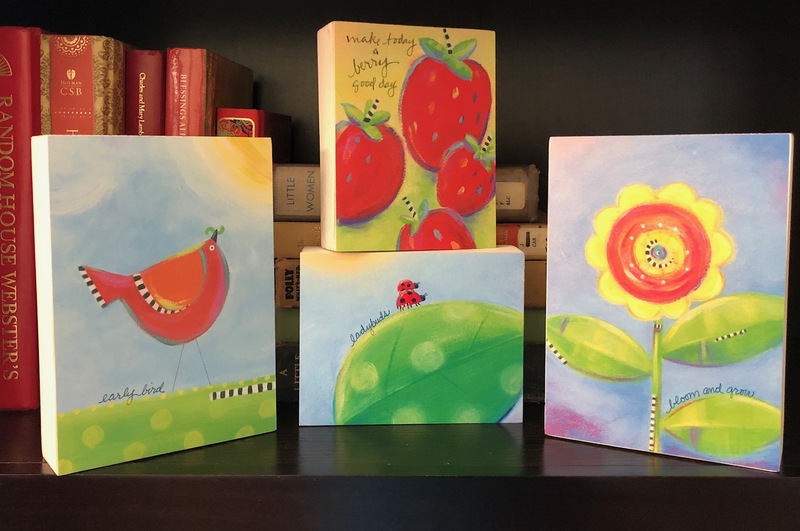 Last spring Bemby’s greeting card, ‘Early Bird’, was such a popular item she decided to have them available again this year but she has also been busy creating new designs in the same bright whimsical style. 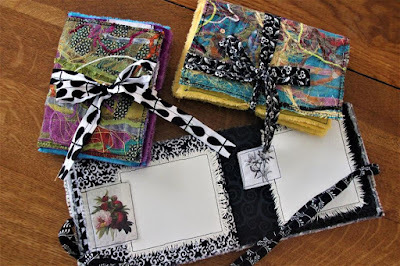 She added an additional option they can also can be purchased as a message block that will either stand or hang on the wall. 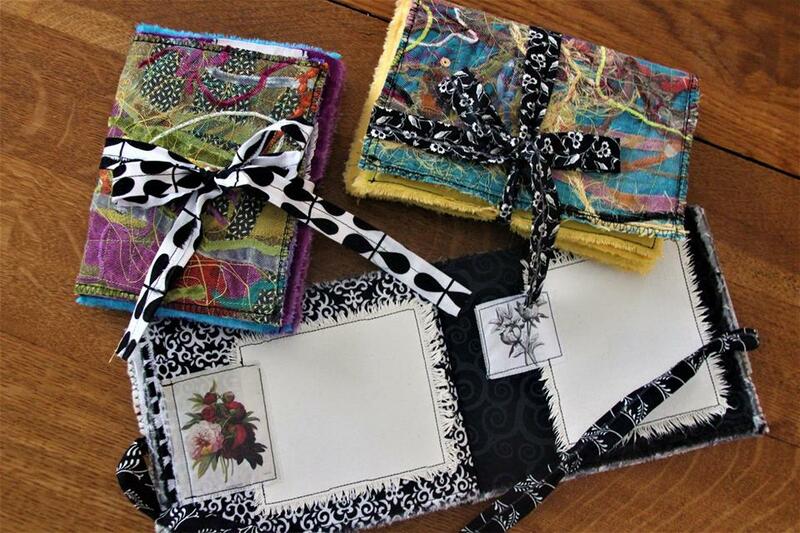 Maybe you need both…..a gift and a card to match! 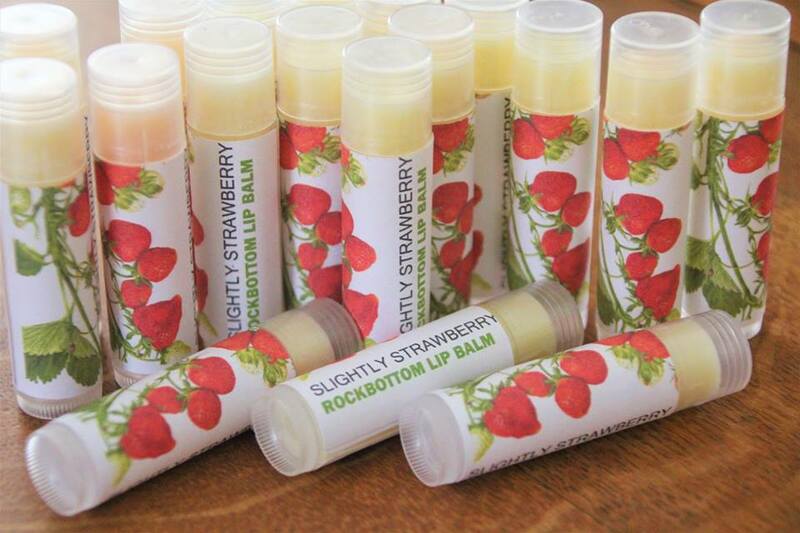 Keeping with the strawberry theme, Bemby has several strawberry designs to choose from. Along with the strawberry greeting cards or message blocks, you will find sweet little wooden strawberries that can hold a message or be used as a place card for your next garden party. And yes there is a bit of whimsy added, look closely - those seeds are fun colors! Don't miss Bemby's things and many more at Strawberry Garden Time, opening Thursday, April 26 and then every Friday Satruday and Sunday in May. 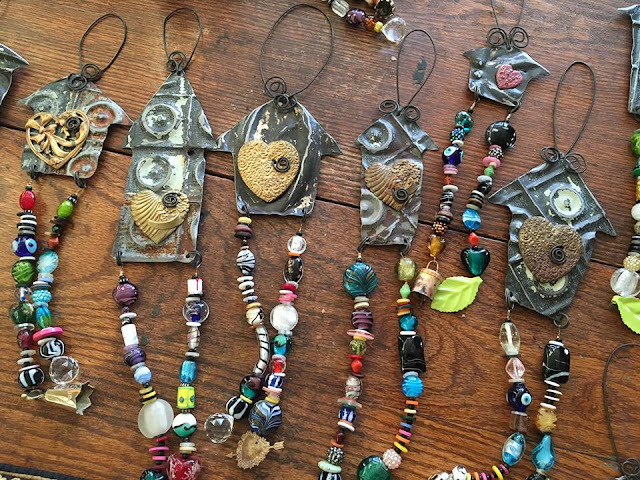 The approaching warmer spring days have motivated Lisa Freeman to create a wonderful assortment of fabulous wind chimes and sun catchers. 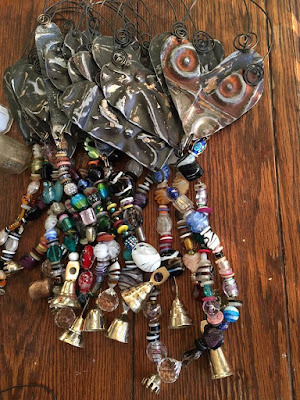 Using found metals, her fabulous collection of unusual beads, brass bells that she dug to find while “junkin”, and vintage chandelier crystals, Lisa’s creations can be adornments for an outdoor deck, or your favorite sunny window. Inspirational messages continue to adorn Lisa’s wood and fiber creations, which are taking on some exciting new forms. The fall of 2017 honey harvest produced a plethora of bee’s wax for Lisa’s luscious moisturizing whips and lip balms.